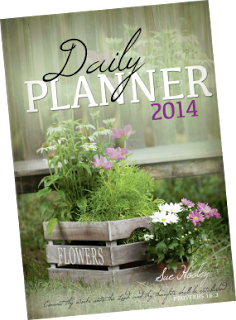 We have a winner for the 2014 Daily Planner. There were 280 entries, and I honestly had to pick several different times because several people did not follow the rules! Always be sure to actually complete the entries as instructed, or you'll miss out on your prize. Now, for our winner. The winner is LD Michelle! Congratulations, Michelle! I'm sure you'll love your planner. Thanks to everyone for entering and reading Blessed Homemaking. Be sure to check back soon as I'll be hosting another giveaway in the near future!